At Floor Pros, you will get a combination of amazing work and quality service. 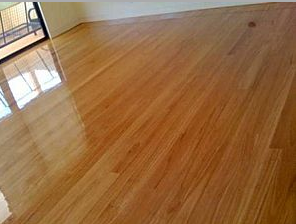 We are the top floor polishing Perth and refinishing company in Perth. For years, we have been providing residents with floor sanding Perth services that can totally change the functionality and appearance of any room or space. From beginning to end, our Perth floor polisher can create your dream floor, a floor that looks shine and luster. Since we use only top name brand floor products, you are ensured floors that will last for years to come. Our floor maintenance team is a group of qualified experts who are ready to get your flooring project started. We provide the cheapest prices on floor sanding in Perth and the eastern suburbs. Our crew is dedicated to giving sustainable floor refinishing solutions and going beyond your expectations. There are numerous benefits that wood floors can bring to a room. Hardwood floors bring a great amount of style and sophistication that no other flooring can deliver. The ease of maintaining hardwood floors and the return in value that they provide is supreme. As the most reputable among floor sanding companies in Perth, you can create your own customized wood floor maintenance plan that will resolve all your issues. We have years of experience in the industry, which permits us to give you the very best possible services available. We have the most talented Perth flooring contractors on our staff. Many of these individuals have specialised training to allow them to provide workmanship that is second to none. Before we begin any of our services, we give useful information such as the density and hardness ratings of the wood. We also let you know the durability for your type of flooring. These factors allow us to make the best decision on the services for your job. In addition, you’ll have knowledge regarding how resistance your floor style is to scratches or mold. Of the many properties with timber floors, areas/rooms of use have grown over the past few years. The most common areas to see are office hallways, libraries, and foyers. With our level of expertise, we’re capable of helping you with everything from smoothing those scratches to repairing broken wooden planks. Simply put, we will do a flooring job for you that will make both of us happy. Regardless if it’s simple or complex, our team gives the same devotion and quality of service. We are enthusiastic about the industry, and we are constantly searching and studying advanced techniques to make your floors as unblemished as possible. We look forward to forming a good relationship with you. Schedule an appointment with Floor Pros today! Our services will make you fall in love with your floors all over again. Hardwood floors are an investment that will last for a very long time with the right care. Floor maintenance can be a painstaking process, but our specialists pride themselves in leaving the condition of the floors in your business or home more appealing than before. Flooring that has been properly maintained not only looks good but is safer and healthier. Our floor technicians have seen every possible situation and are competent in the different types of flooring and what it requires to sustain them. We have been in business for a long time, and we bring high-quality floor polishing service to you at an affordable cost. We maintain superior work ethics, dependability, andhigh standards within our Perth, Australia flooring company. We take care to give you personalized service for your unique needs. With so much at stake, getting new flooring for your home or office can be tough, since flooring sets the ambiance of an interior. You want floors that harmonize precisely with your individual taste and style of living. Wooden floors are so authentic, and nothing equals the warmth that they bring to any work or living space. But once you get them, you have to maintain them to keep them looking and feel fresh. Our crew offers high-end flooring service minus the high-end price. We are the front runners in floor polishing and sanding services in Perth as well as the north, east, south, and west. We have made a name for ourselves with our first-rate complete customer satisfaction and craftsmanship. Regardless the size of your business or home, we promise that our skilled floor team is skilled in all facets of wood, bamboo, vinyl, timber, and Jarrah flooring. We are dedicated to completing your job on budget and on time. If you’re looking for a company that provides Timber floor sanding and polishing in Perth, ask us! We established ourselves several years ago, and we have happily served the community since then. Our floor specialists utilize only top name brand flooring solutions and tools to care for vinyl and timber flooring in a huge range of shapes, textures, and colors. We give 100% to go beyond your expectations and to bring back the natural glow of your wood flooring. Our contractors can refinish existing floors to recover their original beauty. We offer professional hardwood floor sanding service if hardwood floors are what you have. Our team is very skilled, and they are polite, respectful, and courteous. At our company, we only want what’s best for you. We know the only way to achieve this is to make our services affordable for any cost point. Our team welcomes the chance to bring a touch of elegance to your home with our timber polishing and sanding services. The end results are floors that are as beautiful as they are functional. We create floors for homes that act as centerpieces instead of additions. Unlike other Perth flooring companies, we leave no debris in your property. Our team cleans up the work site after every job. Our floor polishing or refinishing service brings back the gloss and shine to your wooden floors. Skilled in all aspects of flooring maintenance, we never compromise quality to cut costs. Our team treats your property with the highest respect, and your sanding, polishing, or refinishing job is done with efficiency and care. A beautiful wooden floor is something every property owner should be proud of. We invite you to try our flooring services, and we’re sure that you will be pleased with the incredible wood floor sanding or repair service you receive. If you are unsure which services you need to get your flooring back to its original condition, our specialists are really proficient in helping you pick the right flooring maintenance services. When you are seeking a competent contractor for floor sanding and polishing in Perth and the eastern suburbs, reach out and speak with our staff. If you want a surefire way to enhance the look and stability of your home, wooden flooring is the way to go. Besides being resilient and glamorous, wooden floors are eco-friendly too. Wood is a renewable material. Usually, Timber floors don’t have to be replaced and can add hundreds of dollars to the worth of your business or residence. Wooden flooring gives a traditional look to any type of property, from an upscale mansion to a rustic cottage. As the leading business for sanding floor boards or polishing floor boards in Perth, we possess the capability to perfect the flooring. We provide numerous options, and our Perth floor sanders and polishers guarantee in delivering amazing quality work and matchless service that fits your schedule and budget. Every flooring professional we hire is dependable and professional, making sure to bring you the results that you want. Our experienced specialists put your needs first at all times. With your first call to us, to the floor maintenance work, you’ll discover that when it comes to delivering affordable yet efficient workmanship, we don’t compromise. Timber floors offer a vast array of aesthetic options. From the kind of wood to the finish, to the floor pattern design, wooden floors suit almost any taste and interior style. Our crew takes pride in offering individualized service to you, giving outstanding craftsmanship and professional advice.